The meteoric rise of Instagram has led to a whole lot of holiday envy as we are able to catch a glimpse into the lives of the jetset as they lounge on yachts, sip champagne and attend extravagant parties. However, you needn’t travel as far as you might think to grab a slice of the action. 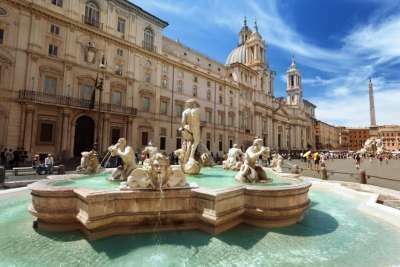 We’ve rounded up some European destinations where you can hope to rub shoulders with A-listers in gorgeous surrounds. After creating and promoting the masterpiece that is Lemonade last year, Beyoncé understandably needed a holiday and where did she choose: the southern-Italian island of Sicily. With crystal-clear waters, fascinating historical sites and an amazing cuisine, it's not hard to see why. To follow in Bey's footsteps head to Nerano where delectable pasta dishes compete with stunning sea views for diner's attention in quaint seafront restaurants. 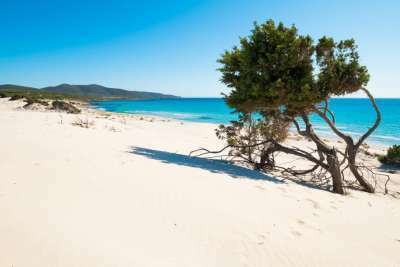 With soft white sands and turquoise seas, you'd be forgiven for thinking that the beaches of Sardinia were in the Caribbean, rather than on Italy's biggest island. It could be this that drew Rihanna to the island in 2014 when she partied here with her closest friends. 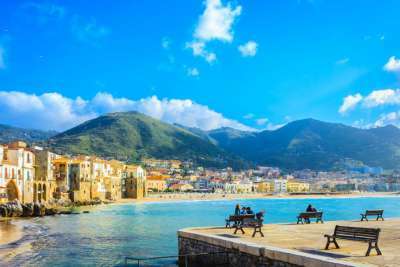 To feel like a celeb yourself, head to the gorgeous beach of Spiaggia della Pelosa where the natural beauty will make your holiday snaps look flash, without a hefty price tag. 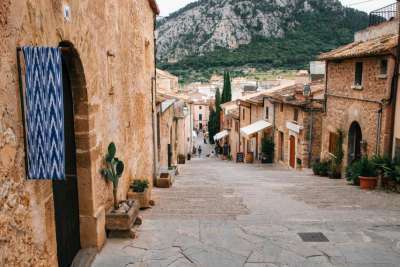 The cobbled streets and restaurant filled squares of Pollensa in Majorca have a history of welcoming in the rich and famous. Grace Kelly and Prince Rainier honeymooned nearby in 1956 and in recent years, David and Samantha Cameron have sought respite amongst the cafes that line the streets here. The town is small, meaning that your chances of getting a glimpse of a recognisable face is so much more likely! Ben Fogle may not exude glamour but he sure does know his islands, and the Azores are some of his favourite. This Portuguese archipelago has balmy climes and verdant scenery but where it really excels is in the marine life that resides here. 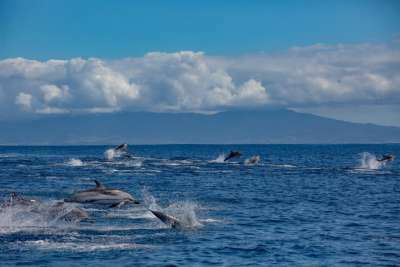 There are manta rays, blue sharks and moray eels to intrigue divers and bottlenose dolphins, sperm whales and blues whales to be spotted on the surface. These islands are a nature lover's paradise! Marbella may have been made famous by the TOWIE cast, who uttered the now famous 'no carbs before Marbs' phrase. 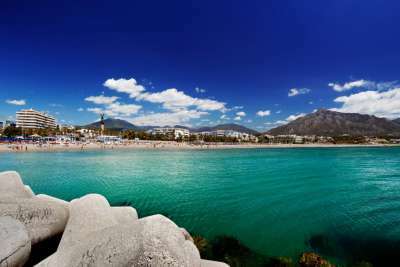 But its not just reality TV stars who flock to this part of Spain for the champagne spray parties and pretty surrounds. Craig David has been spotted in the area, so make like a celeb and head to this sunny spot with your flashiest bikini and biggest sunglasses in tow. 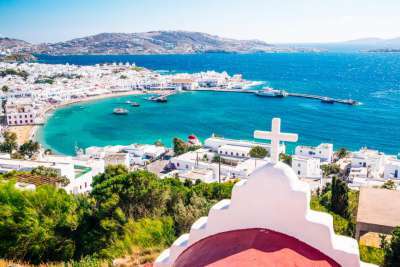 Mykonos marries hip hotels, a hedonistic nightlife and gorgeous seascapes in a location famed for its white-washed buildings which are, more often than not, framed against deep blue skies. It's no wonder then that it is a favourite with the rich and famous. Ruby Rose, of OITNB fame was spotted holidaying here last year and the Kardashians have been spotted on these sunny shores before. And who can blame them? It's a seriously dreamy destination. 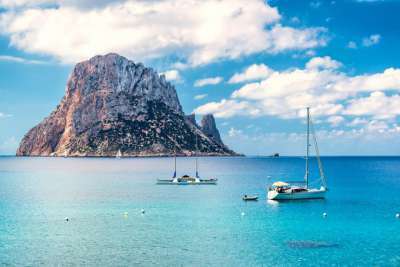 Ibiza and celebrities go hand in hand like scones and cream, or tea and biscuits. The beautiful Spanish island has been welcoming in the jet set for decades. They'll glide in on their yachts ready to dance the night away in nightclubs which stay open way past dawn. A trip here will see you following in the footsteps of Kate Hudson, Jade Jagger, Paris Hilton and Kate Moss, to name but a few. Once the parties end, you can recuperate in clear blue seas fringed by rugged beaches: there's no better way to spend a hangover. The city of Dubrovnik is perched atop Croatia's Adriatic coastline making it a city with some seriously jaw-dropping sea views. Inside the city walls, the cobbled streets play host to hip clothes shops, smart restaurants serving incredibly fresh seafood and gelato stalls for those looking to cool off. It's not a surprise then that the city is a magnet for the rich and famous. In recent years, Ivanka Trump, Bono and Cliff Richard have all been spotted exploring this historical city. The sleepy fishing town of Elounda on the Greek island of Crete is not flash. The focus here is, instead, on the astoundingly beautiful natural surroundings and warm hospitality. It is perhaps this feeling of escapism that draws in celebrities such as Lady Gaga and Leonardo DiCaprio. This is a destination where you can mingle with the A-list without having to have a very large bank account.